Two weeks after the outbreak of mass demonstrations, Romanians show no sign of giving up protesting against the government of Sorin Grindeanu. Recent street marches opposing the proposed decriminalisation of corruption have been the largest in the country since the fall of dictator Nicolae Ceausescu in 1989. At its peak over half a million people gathered at the demonstrations in Bucharest alone. Outraged by a highly controversial bill, proposed by the Social Democratic Party in the government, which would eliminate prison sentences for corruption cases with damages lower than 44,000 euros. In practice, the law would give amnesty to corrupt politicians, including friends and family members of government officials. Romania is currently listed 57th in the Transparency International ranking, a country where bribery in exchange for help and favours is commonplace. So much so that 9 out of 10 citizens consider corruption a very serious problem. The furious reaction of the Romanian people has successfully forced the withdrawal the controversial bill to be rescinded and the resignation of a senior minister. But not even the ousting of Florin Iordache, the Minister of Justice, responsible for putting forward the decree, has put an end to the raging discontent in the streets. 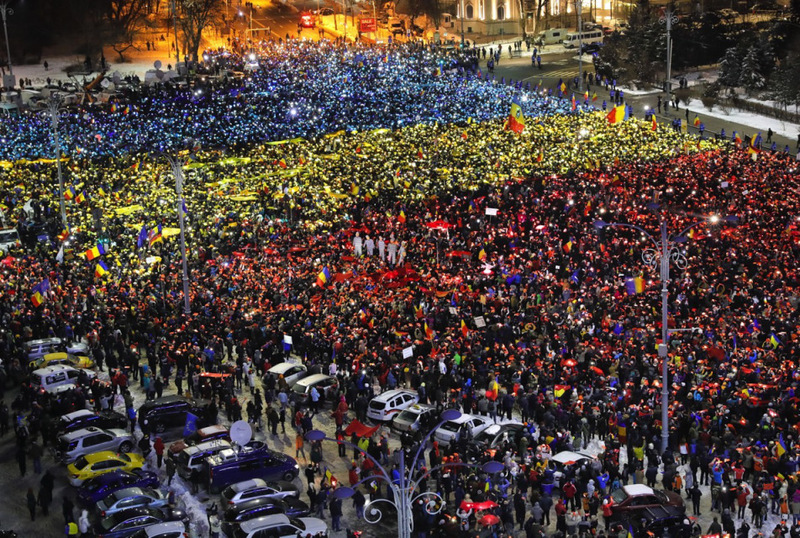 Romania is thus facing its most challenging social crisis in the last three decades. No longer willing to lie down and accept abuses of power, the protesters remain unabatedly demanding the resignation of the government (in power for less than a month) and calling for strong political reforms to tackle endemic corruption and organised crime.